The hop is especially used in beer brewing, in which it plays the highly important role to determine the most common characteristic of beer, that is its bitter taste, in addition to the flavour, moreover the hop contributes to preserve beer because it has antibacterial properties. The use of hop also helps to coagulate the proteins in suspension making the beer more clear (clarification), furthermore it helps to mantain krausen. 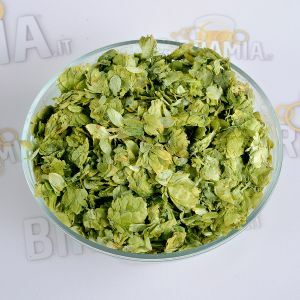 Hop has different qualities and it also exists in different sizes: Cones, non pressed hop flowers; Plugs, large tablets of pressed hop flowers; Pellets, small cylinders of crushed and pressed hop. The hop bitterness is measured in Alpha Acid, higher the AA more the bitterness yielded to our beer by the hop.